Need a little variety for your egg rolls and more? You can make spicy peanut sauce with a few ingredients in your pantry. Combine all ingredients in a bowl and stir well. This is best if it sets for a couple of hours before serving. 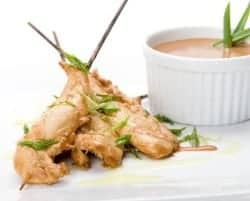 I’ve been looking for a good peanut sauce recipe! This one looks good! I’ll be trying it soon!